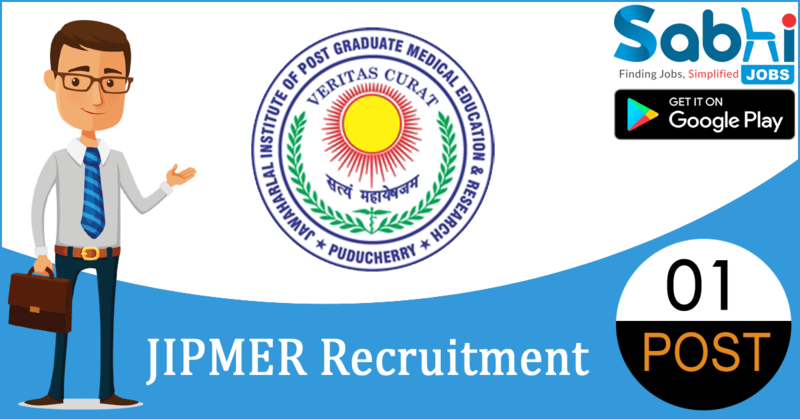 JIPMER recruitment 2018-19 notification has been released on official website www.jipmer.edu.in for the recruitment of 01 vacancy at Jawaharlal Institute of Postgraduate Medical Education & Research. The candidate who is looking for Dialysis Technician may appear for Walk-in-Interview 07th August 2018. Qualification B.Sc in Dialysis Technology from recognized University OR Diploma in Dialysis Technology and one-year experience. How to Apply Interested and eligible candidates may appear for Interview along with bio-data, attested copies of certificates at the time of Interview.